Accenture has been selected to be the 2016 recipient of the Invisible Disabilities Association’s Corporate Award. Accenture has been chosen because they have created a company wide culture and environment of disability friendliness. Accenture’s positive focus on disabilities through their vast network of Disability Champions, access to assistive technologies, celebration of International Persons with Disabilities Day and extensive disability training and awareness programs is the model to be followed. 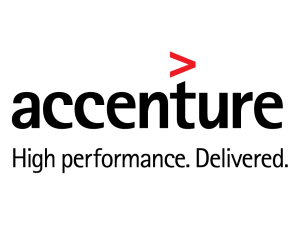 Accenture is a global management consulting, technology services and outsourcing company, with more than 323,000 people; offices and operations in more than 200 cities in 56 countries; serving clients in more than 120 countries. Our clients span the full range of industries around the world and include 89 of the FORTUNE Global 100 and more than three-quarters of the FORTUNE Global 500. We help organizations maximize their performance and achieve their vision. We develop and implement technology solutions to improve our clients’ productivity and efficiency—and may run parts of their business—enabling them to become high-performance businesses and governments. And, we have a unique way of doing things—the Accenture Way. It’s how we innovate, collaborate, operate and deliver value for our clients, shareholders and communities around the world. At Accenture, corporate citizenship is central to our vision to improve the way the world works and lives, and it reflects our core values. From our Skills to Succeed initiative to our efforts to drive sustainable economic growth with our people, clients and suppliers, we take thoughtful actions to bring positive change, for today and for the future. This includes playing a vital role in convening people and organizations to create long-term value for our communities, strengthen our business and enhance our contribution to society.